The advanced certificate is the next step you can take on your journey of learning to fly! The advanced certificate is perfect for students who want to embark on a career as a pilot or want to share their passion for flying with friends and family by taking them up into the air as passengers. 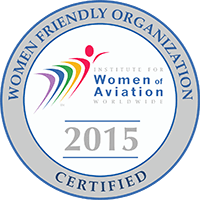 As a person who has recently acquired their pilot certificate it is quiet understandable that you want to share the experience and fun of flying with others, but before you can legally take other people up in the aircraft you have to obtain the advanced certificate. With the advanced training you will be able to handle things like steep turns, lazy eights or being able to expertly manage stalls out of climbing and gliding turns and have the knowledge on how to handle advance side-slipping. This knowledge takes your flying skills to a new level which makes you a safer and more confident pilot. Other skills that you will learn during your flying lessons for the advanced certificate is how to handle engine failure after take-off as well as when you can and cannot do the turn back manoeuvre. These skills will maximize your chances of coming out of an emergency situation as safely as possible. You will need to know your aircraft well in order to pass the advanced certificate, we recommend that you study the flight manual and have a good knowledge of weight and balance as both of these are essential to passing the advanced certificate successfully. Most pilots spend approximately five hours training for the advanced certificate, although this does vary from person to person.